These may seem like minor complaints to some. Trivial, or even nitpicky. In fact, I can already imagine people getting ready to angrily berate me with insults like “SJW warrior” or “Feminazi” or “fake woke fangirl”. But they’re just another set of microaggressions, little things that tell minority women that they’re valued less in society. It’s a death by a thousand cuts, slow and unnoticeable at first but no less harmful because it’s so normalised. The Arrowverse suffers from a glaring white feminism problem – and not just when it comes to what happens within the narrative, either. Chyler Leigh has expressed regret about the fact that three quarters of Alex’s scenes with Maggie were cut – despite Supergirl’s showrunners readily accepting praise for portraying Alex’s coming-out story and relationship. Arrow’s Emily Bett Rickards has mentioned that the writing team telling her that they wanted to get her out of the wheelchair as quickly as possible – and has repeatedly apologised for not designating enough time to the story. The Flash’s official promotion team has gotten so good at ignoring Candice Patton that she no longer follows them on Twitter or Instagram, and has definitely noticed the mistreatment. Meanwhile, it regularly promotes Danielle Panabaker even when she isn’t talking about the show, sometimes minutes after she tweets about it, and rather tellingly doesn’t crop her out of photos. There are many reasons as to why so three out of the four Arrowverse shows suffer the same problems. The first is that all of the shows in the Arrowverse are run by white people. And most of them are men. Obviously, the problem with having all-white and only two female showrunners means a very limited perspective on issues that should be given more nuance, and a lack of knowledge on storylines that could be considered offensive. However, while it’s easy – and correct – to lay the blame purely at the hands of the showrunners, this problem doesn’t begin and end there. Jessica posits that Caitlin Snow of The Flash, for example, gets emotional support from the narrative and other characters as a “consolation prize” – for fans that want Barry to be with Caitlin instead of Iris. Her idea is that even though Iris gets support from Barry, since everyone else is supporting Caitlin, the people who can’t relate to Iris – for some reason – will still feel important. She even points out that this is not unique to The Flash, as Rian Johnson essentially crafted The Last Jedi as a consolation prize for fans who don’t want the endgame pairing of the white Rey and the Black Finn, preferring her instead with Kylo Ren, the franchise’s resident broken white boy. A whole movie about Luke and Rey running around trying to save Kylo Ren’s soul is to allow fans to paint him as a victim so they have concrete evidence to argue that all he needs is redemption and that he deserves to be with Rey. Seeing as I have seen how some fans behave towards Candice Patton and the showrunners because Barry is with the Black Iris instead of the white Caitlin, I can certainly see this perspective. However, while I definitely agree that it’s partly done to appease fans, I think that there is another reason that runs concurrently with it. I think that writers tend to have a subconscious bias in favour of white characters – a bias that comes from society, from seeing white women presented as the pinnacle of femininity. This extends to LGBT women, non able-bodied women, women who are poor, women who don’t have access to education – in short, women who don’t look like they’d make it onto the shortlist to be part of Taylor Swift’s squad. Moreover, the more white writers there are, chances are they’re going to want to protect the white woman more. Not because they’re racist, but because that’s how it’s always been, and it is an attitude that takes time to unlearn. White women are always the most worthy, and in the Arrowverse it manifests itself as them being the most represented, having the most focus, and shown the most care and attention. Jessica is right in that they prioritise making sure the white woman and all those who relate to her – and in some cases only her – feel seen and supported by the narrative, and this attitude also comes from society presenting white women as the only women who matter. There’s also the problem of accountability. Unfortunately, science fiction fandom has historically been dominated by a straight, white, male perspective. Problematic writing is often only called out by the people whose representation is affected by it, usually in the form of minority fans themselves; if there aren’t enough people in the right places holding the writers accountable, they aren’t going to change. 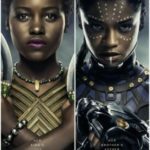 If most of the showrunners are white and/or male, and most of the writers are white and/or male, and most of the reviewers are white and/or male, and a lot of the comic book fanbase is dominated by a perspective that skews white and male, then not only is it harder to portray balanced, nuanced perspectives of women from different backgrounds, it’s harder for them to know when they’ve failed. White feminism is only fatal if you’re an actual person of colour as opposed to a fictitious one, but that doesn’t mean the Arrowverse should let this ailment slide. Because, as we’ve said, ignoring the perspectives of minority women and treating them terribly not only sends a clear message to those fans, it actively harms their authenticity. The first step to fixing this problem is one every showrunner has no doubt heard before: they need more minorities in their writers rooms. Oftentimes, despite vast comic book knowledge, creators aren’t aware of harmful tropes and dehumanising stereotypes. The controversy around Deadpool 2‘s fridging of a prominent female character, as well as the creators’ ignorance of such a controversial trope, highlighted the need for diverse voices. I’m not suggesting that Greg Berlanti completely overhaul his writers rooms, but when hiring for future seasons, perhaps he could place priority on making sure that there are diverse voices in the room to bolster their stories and lend them more authenticity. It’s also important that those writers feel comfortable sharing their ideas and experiences. And more importantly, feel comfortable pointing out potential choices, or advocating for stories that lend voices to minority women. Finally, the producers need to listen to their minority fans. The fact of the matter is that minority women know more about what their representation should look like more than people who…well, who aren’t minority women. It’s easy to dismiss criticism from these fans as people using buzzwords to sound clever, but to dismiss them wholesale isn’t just careless, it’s irresponsible. Representation isn’t to make Hollywood producers feel better about meeting a quota – it’s to make minority fans feel like can be the heroes of a story, rather than the dutiful servants in the corner or the villains for the white heroes to defeat. Thankfully, steps have already been taken in that direction, and the changes that have been coming out seem positive. Supergirl recently put out an open-ethnicity casting call for a transgender character, which would be a good opportunity to cast a woman of colour who has to handle more than one structural inequality. Arrow recently promoted Beth Schwartz to showrunner, making her the first sole female showrunner of any Arrowverse show, and the show itself has recently added two women of colour to their writing staff. While I haven’t heard any similar news from The Flash, Greg Berlanti recently promoted Karyn Smith-Forge, a Black woman, to Vice President of Production for all of his shows, meaning that she’s in charge of working with the showrunners to hire writers and directors. Seeing as The Flash is the only Arrowverse show with a Black family at the centre, hopefully she’ll see the importance of having diversity behind the camera to support the diversity that’s in front of it. And hopefully all three shows will continue to represent women from all backgrounds, rather than using minority women as diversity token points. The Arrowverse has just concluded its sixth year, and even though the universe keeps growing, the time for them to give their minority women their due has long since passed. And as a DC fan, the Arrowverse is home to some of my most beloved characters, which is why I want them to improve. The response to shows like The Bold Type, like Killing Eve, like Jane the Virgin and Berlanti’s effort with Salim and Mara Brock Akil, Black Lightning, and countless others show that put minority women in prominent roles is a winning move. It also flies in the face of Hollywood’s idea that all media must have a straight white man at the centre, and that feminism just means a white woman punching things to show she’s tough. And in case you’ve been living under a rock made out of Vibranium, you’d know that from the time Black Panther came out it broke records every time the wind changed, and is now the ninth-highest grossing movie of all time. Media with minority women in prominent roles aren’t only wildly in demand, they’re also extremely profitable, and the Arrowverse shows that suffer from white feminism would do well to create more opportunities for minority women to shine. 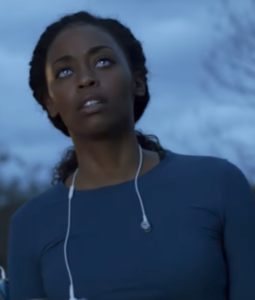 Anissa Pierce (Nafessa Williams) is wildly popular as the first Black lesbian superhero on television. Whenever they sidestep or erase their struggles on shows that purport to be feminist, whenever they whitewash their stories, whenever they reduce them to Mammies to white women while affording them little emotional support, they’re letting their minority women down. The fact of the matter is, if you want the praise for being a diverse show, you have a responsibility to do the work to make sure it’s inclusivity, not tokenism. Minority women have watched white feminism work in media for centuries, and even though the scale still imbalanced, we don’t have to suffer through mediocre representation anymore. There’s more media available that represent the women who look like us; if we feel that they’re being disrespected on your show we will, quite simply, take our views elsewhere. As a great woman once said, our persuasion can build a nation, so it’s time to give these women a chance to run the world for a change.